Being a renter is hard. You're not sure how long you're going to be in a place so you don't know if you want to put time, effort and money into making it yours. We've been in that limbo with this house for the past 18 months but last week we decided to commit. We are going to stay in this house for at least 3 more years (and possibly a few years beyond that) so it's time to start doing those things that turn a boring rental into a home. I decided to start at the front door. That's a space I really have devoted zero thought to, which is kind of sad since it's the first place visitors see. What I'd REALLY like to do is paint the front door and replace the awful hardware, but that requires landlord and HOA approval and I'm not ready for that goat rodeo. 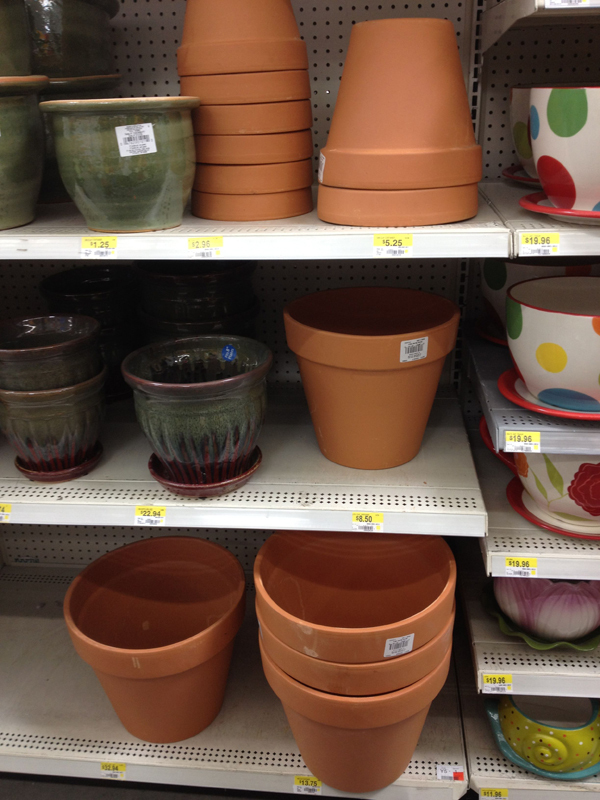 I headed to Wal Mart and popped over to their home and garden section. 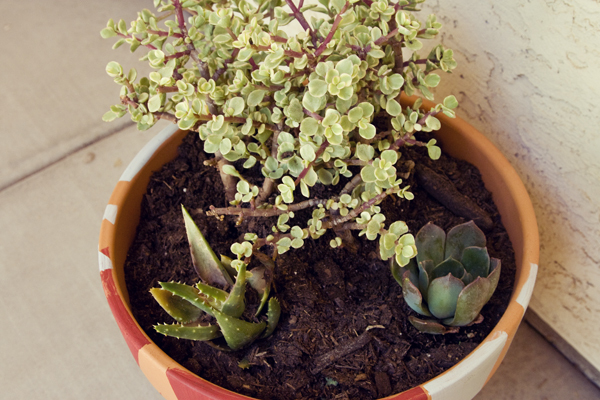 I walked out with a pot and a few pretty little succulents to put in it. I originally intended to plant the bromeliad Aaron got me for Mother's Day buuut I killed it before it made the transfer. 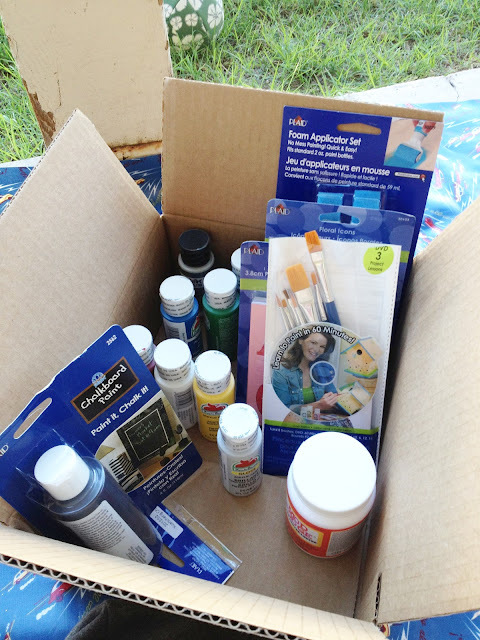 Plaid sent me a box of fun craft supplies to play with. I grew up with a super crafty mom so all those brushes and paints had me feeling all nostalgic. I don't have my mom's talent but I DO love to paint stuff. I wanted this project to be one of those fast and easy but satisfying type projects. 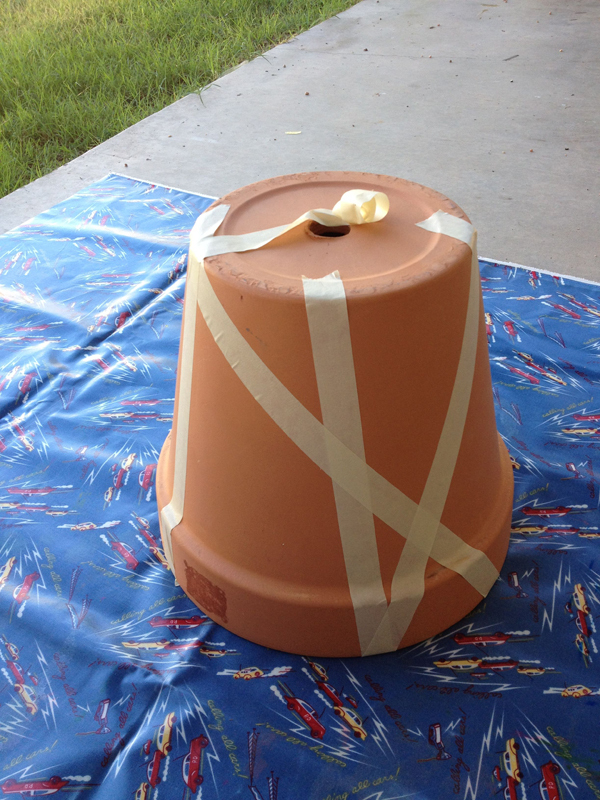 I put tape on the pot. Nothing fancy, just masking tape stuck wherever tickled my fancy. One of the things in my box from Plaid was this awesome brush tip. 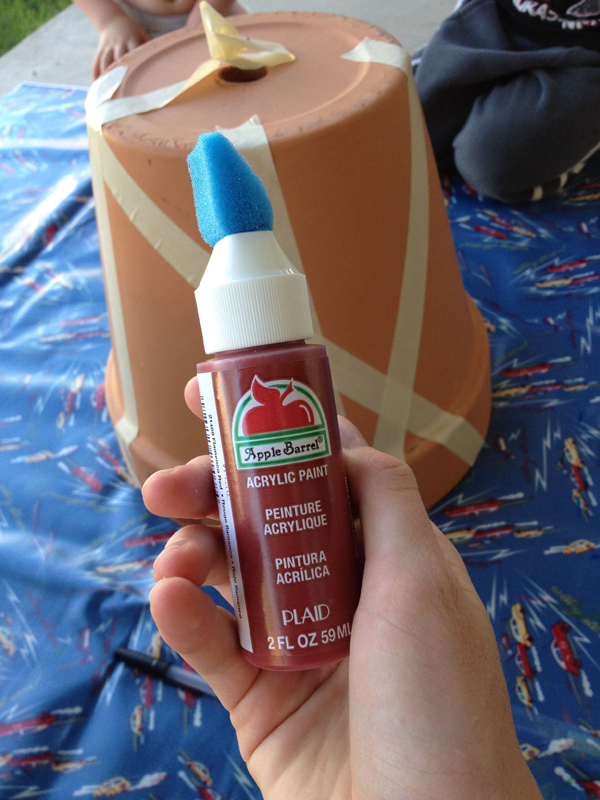 It screws directly onto the bottle and I'm not sure I'll ever be able to paint large surfaces any other way. It was ridiculously fast and easy. 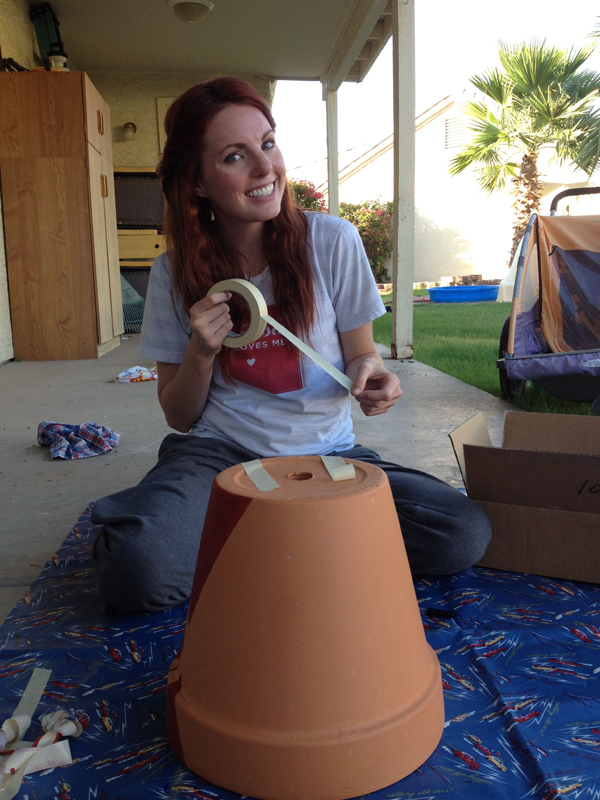 Paint paint paint! Kids helped. It was...not the most efficient way to get this done but they loved it. 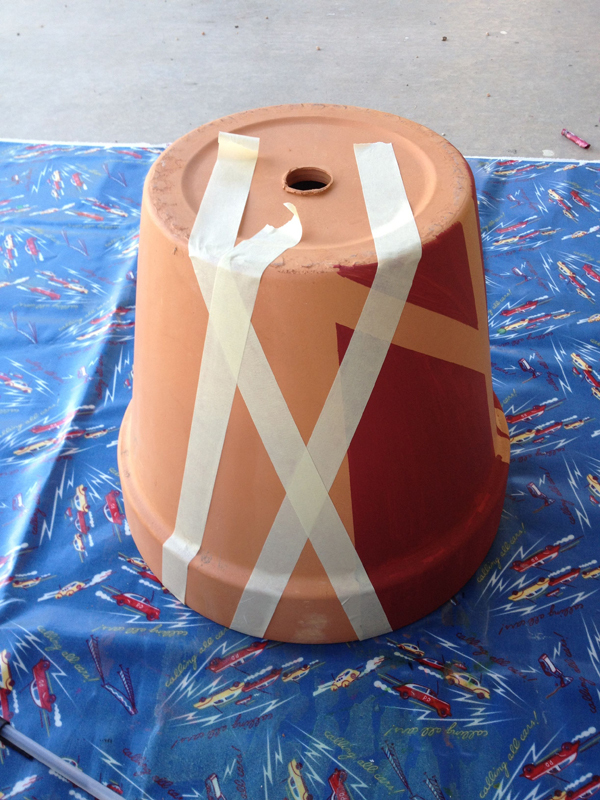 I took off the tape, let the paint dry, then put on more tape. I changed my paint color and did the same thing. 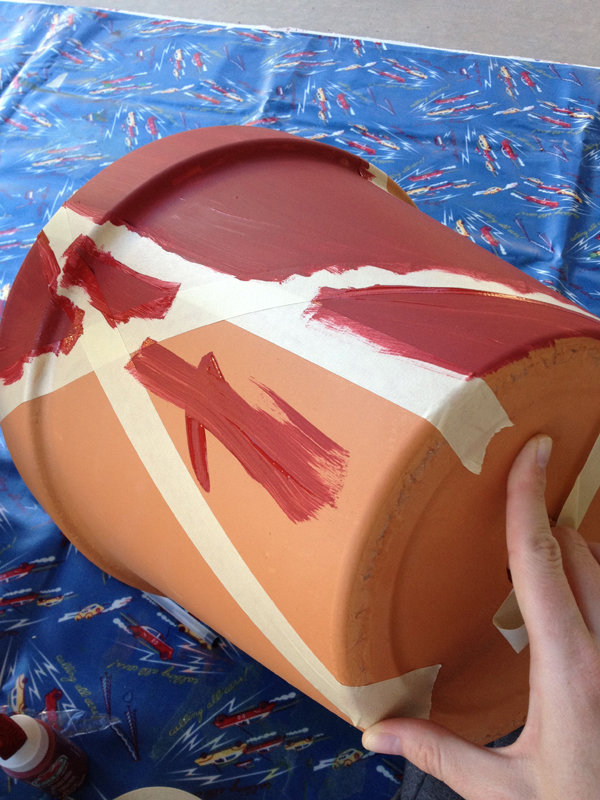 I alternated colors around the pot. Ignore the shmutz everywhere. Children live here! It took me about 30 minutes, including paint drying time. That's my kind of project! I plopped my plants in, threw a doormat out front that I bought ages ago but never got around to actually putting out (and washed the front door). It's not a huge difference but it makes me so happy! When Aaron went to look he said, "Wow! It looks like people actually live here!" So pretty, right? 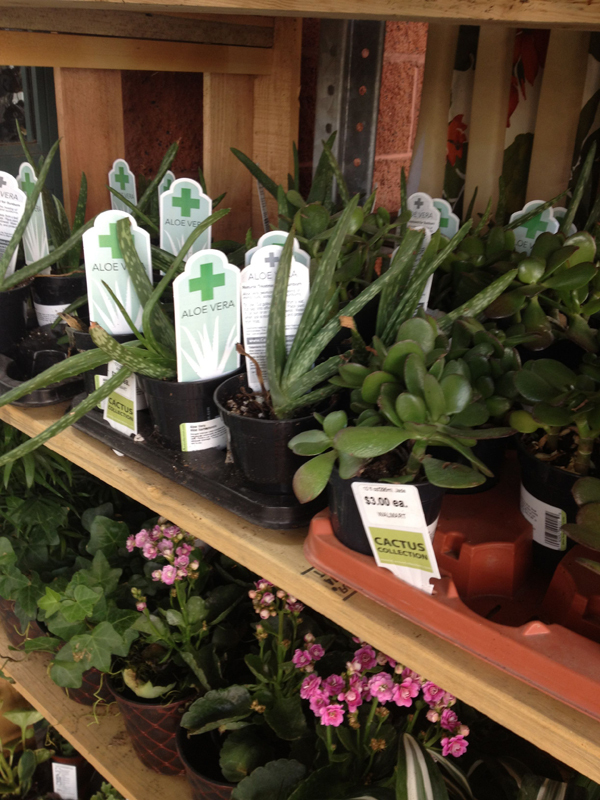 Those little bitty succulents are so cute. When I pulled them out, Stinky went, "Aww, it's a BABY plant!" Disclosure: I wrote this post as part of a paid campaign with Plaid Crafts and Blueprint Social. The opinions in this post are my own. I love it, so colorful! you did a great job, and i would love to see more home stuff on here.....yay for choosing to settle down for a bit. it helps to make the decorating process easier. hey, at least you should know what you want since you've been there for 18 months. no buying on a whim, cuz you already know what will work and won't! Goat Rodeo! Ha! that describes HOA's perfectly! I love how it turned out! 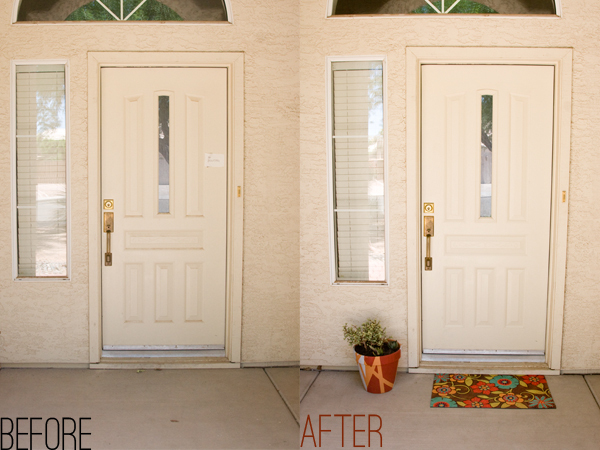 It's amazing what a few pieces of color can do to spruce up a front door! This is so cute! I think I might have to head out and buy some pots tomorrow! 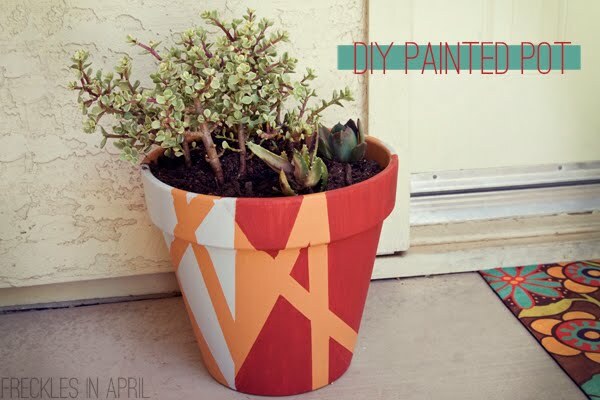 I'm going to combine this with a Pinterest project I saw involving duct tape, spray paint, and a floor mat -- same concept. Love it! Huge geometric fan here! So modern and cute!